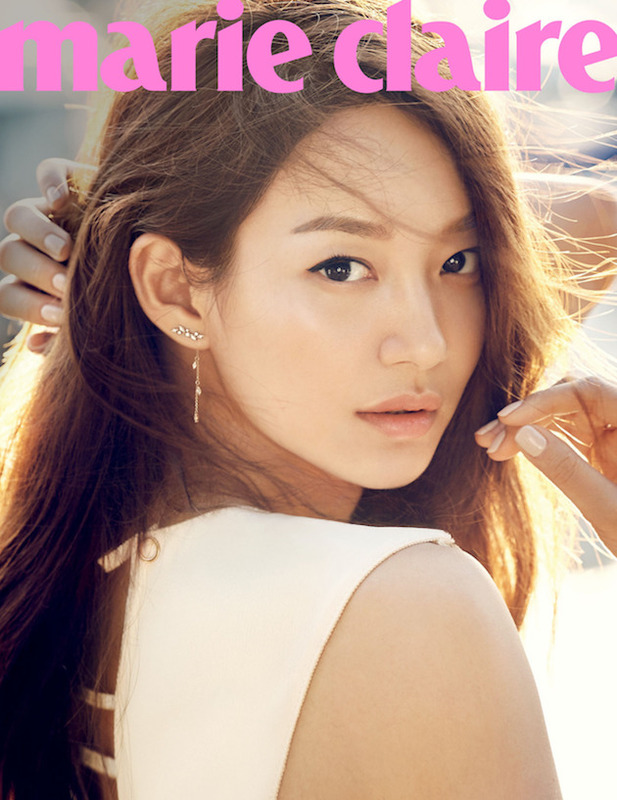 Shin Min Ah is off on a glamorous Singapore getaway in the latest issue of Marie Claire Korea. The gorgeous actress who is also the face of StoneHenge shows off the jewelry brand's latest collection of dainty gems which sparkle almost as brightly as she does. Her fresh faced makeup and hair looks so effortless and natural. I'm totally coveting that ultra chic Self Portrait jumpsuit and just about every delicate bauble she is modeling especially the necklaces and rings. As with Im Siwan's Sure editorial, there is one image that just doesn't look like it belongs and that would be the last photo. While the Delpozo outfit is lovely it has a distinctly fall feel which clashes with the summery lightness of the rest of the spread. When I last featured Min Ah, she was considering a lead role in the time traveling romance Tomorrow With You and it was just reported this week that she had accepted and Lee Je Hoon will be her co-star. Lee Min Ki who was previously attached to the project had to decline due to his alleged sexual assault case. Even though he was cleared of any charges, it would serve him best to maintain a low profile for now. Lee Je Hoon who last appeared in Signal is a good actor who has never really made much of an impact on me. Following the new trend, Tomorrow with You will be completely pre-produced and is scheduled to air early in 2017 on tvN. She is so simple and classy at same time: absolutely adorable! Beautiful editorial have a great weekend doll. What a beauty. Such lovely lips. she looks gorgeous and naturally beautiful! These are such comfortable looking outfits. The all black look with flats is my favourite. 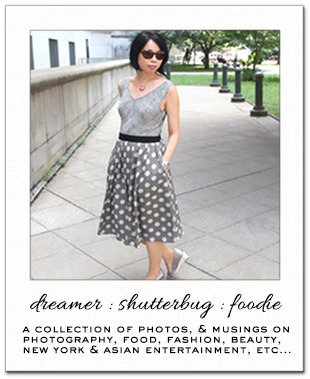 All lovely images and nice ensembles for a getaway ... I'd wear it! :) Happy weekend, Rowena! What a lovely editorial! You're right about that last photograph not belonging, it does feel Autumn like and not just because of the long sleeves...the other photographs are so dinsticly summery, abudant in light and with that easy going vibe. Fantastic set of photographs, I wouldn't mind buying Marie Claire so I could have them! This actress seems lovely and she is certainly such a natural beauty. I really like her eyebrows. She is so beautiful and looks so happy and innocent. Beautiful editorial, Rowena. Man...she always looks good....like, ALWAYS! I almost hate her:P I'm not much of a turban girl, but I swear, she makes me want to wear one. And I'm super super excited about Tomorrow With You! I always start obsessing over the leading man of whatever show I'm loving (except LJS...hahaha), and after Signal, I thought Lee Je Hoon is just amazeballz! Gosh, she is a beauty and I love how natural the makeup is. It almost looks like she's bare faced which is such a stark contrast to how Western makeup trends are. She is so pretty! And I love the natural look for makeup...understated is always best! She looks so stunning and I loved her in Oh my Venus. I can't wait to see this new drama that she will be feature in. She is stunning. I love how natural she looks. Very clean. The pictures are amazing, but the jewelry really catches my eye. I love delicate pieces. Ah, maybe this will be the show for Lee Je Hoon to win you over! Haha. And yes this editorial is gorgeous, gosh I would love to be able to shoot like that one day. I love how they let her natural beauty shine through! Gorgeous pics of her and she's very accomplished. she is such a natural beauty and yes, I have to agree with you, she makes all these accessories look so good! I love dainty pieces like these. Love the vibe and mood of the editorial. Marie Claire Singapore? wow this magazine cover looks amazing Rowena. She looks so pretty! Love her hair colour and natural look. She's such a beauty. I really love her hair!